If you are a perfect spouse, and if you have a perfect spouse, feel free to disregard this post. Marriage seems to be the best opportunity we have to practice forgiveness and repentance. It’s like a crash course in why we need the Savior. Is anyone else as surprised as I am how easy it is to hurt or be hurt by the person you love the most? Sometimes our list of demands is great, and we pay more attention to it than we do our list of goals and self-improvement or our list of blessings. I have a husband who is very patient with my frequent bouts of grievances. He rarely returns the “favor.” He far surpasses me in patience and long-suffering. I’ve seen a lot of marital discord among family, friends and neighbors. Every time it pops up, I feel so sad and I realize that none of us is immune to Satan’s attacks on marriage and family. I hold on to my own marriage a little tighter and open my eyes a little wider. And, surprise, surprise, I start studying what the prophets and apostles have said because I’m a firm believer that whatever seems to be plaguing society at the time has probably been addressed very carefully recently by living prophets. So far, that’s always been true for me; I find answers for whatever is heavy on my heart and mind. Anyway, here are few great talks and thoughts I came across after I did a search for “marriage and the atonement” . . . . I strongly urge you and those who advise you to face up to the reality that for most marriage problems, the remedy is not divorce but repentance. Often the cause is not incompatibility but selfishness. The first step is not separation but reformation. Divorce is not an all-purpose solution, and it often creates long-term heartache. A broad-based international study of the levels of happiness before and after “major life events” found that, on average, persons are far more successful in recovering their level of happiness after the death of a spouse than after a divorce. 3 Spouses who hope that divorce will resolve conflicts often find that it aggravates them, since the complexities that follow divorce—especially where there are children—generate new conflicts. . . .
Don’t treasure up past wrongs, reprocessing them again and again. In a marriage relationship, festering is destructive; forgiving is divine (see D&C 64:9–10). Plead for the guidance of the Spirit of the Lord to forgive wrongs (as President Faust has just taught us so beautifully —see that talk here), to overcome faults, and to strengthen relationships. Our deepest God-given instinct is to run to the arms of those who need us and sustain us. But [Satan] drives us away from each other today with wedges of distrust and suspicion. He exaggerates the need for having space, getting out, and being left alone. Some people believe him—and then they wonder why they feel left alone. 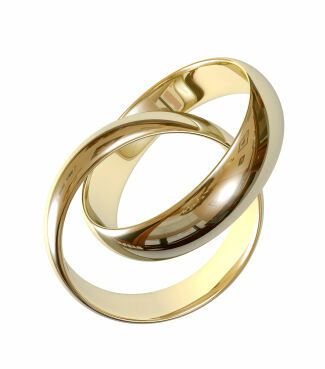 . . . .
May we restore the concept of marriage as a covenant, even the new and everlasting covenant of marriage. 14 And when the wolf comes, may we be as shepherds, not hirelings, willing to lay down our lives, a day at a time, for the sheep of our covenant. Then, like Adam and Eve, we will have joy. I need to do a better job of expressing appreciation and love. What do you do to protect yourself against the “wolves” that attack marriage? How do your covenants bless your marriage?